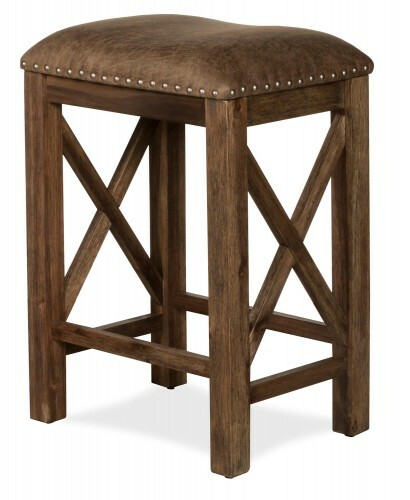 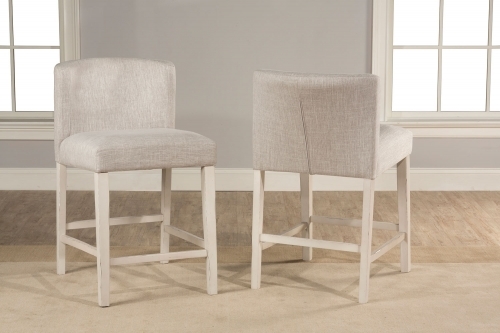 A modern classic, Hillsdale Furniture's Clarion upholstered chairs are the perfect solution for your transitional decor. 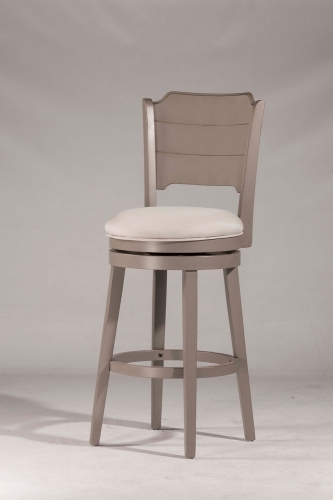 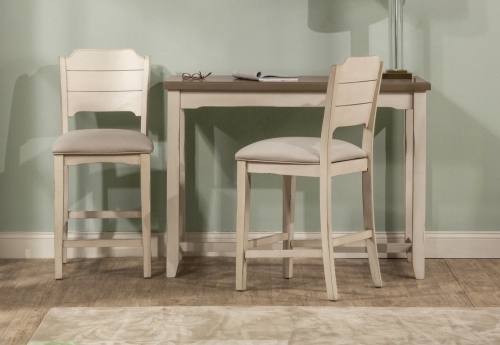 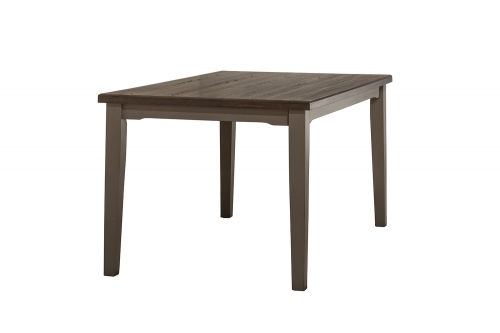 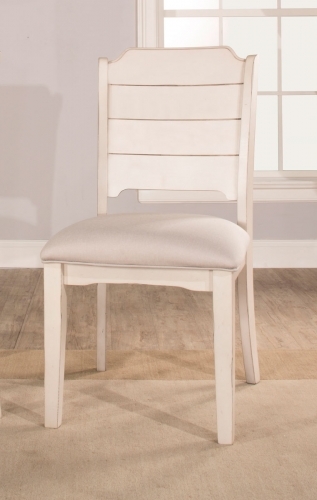 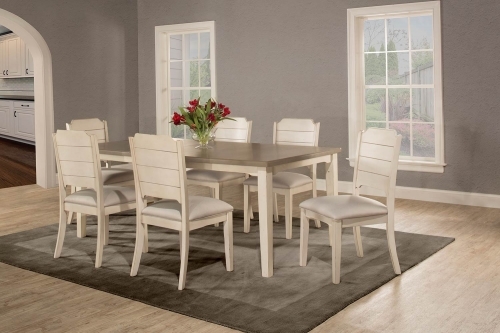 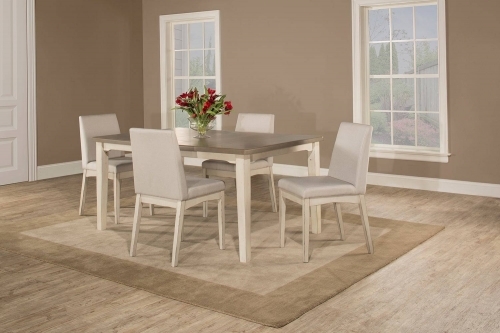 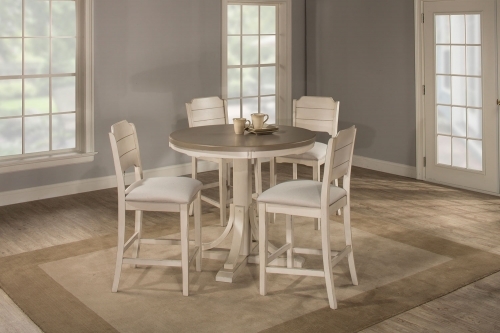 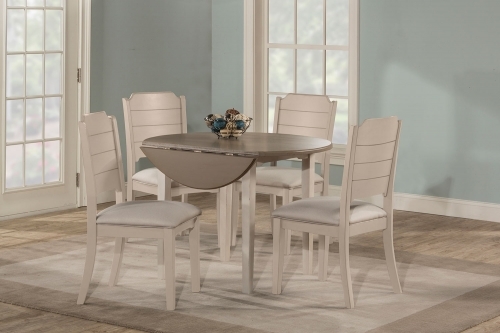 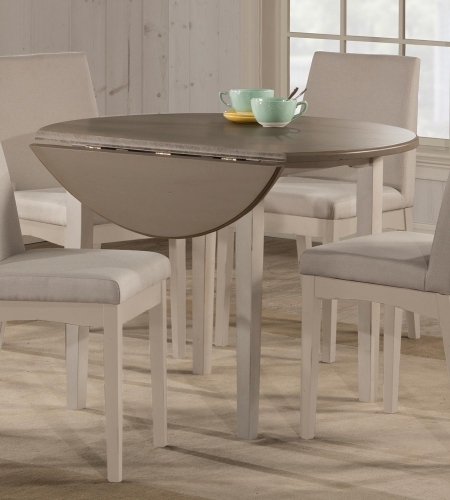 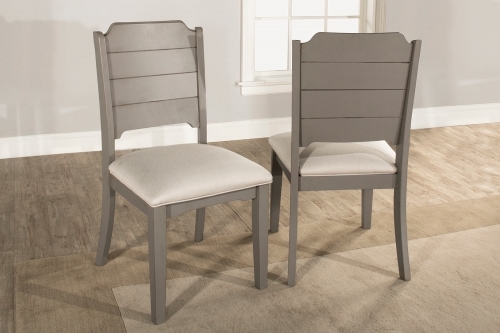 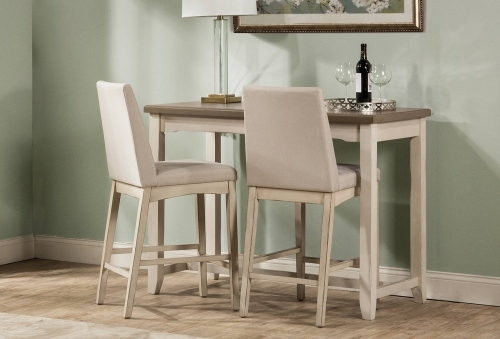 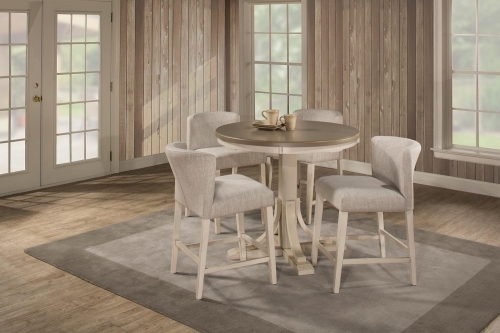 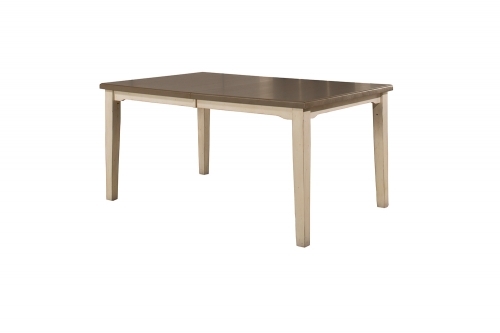 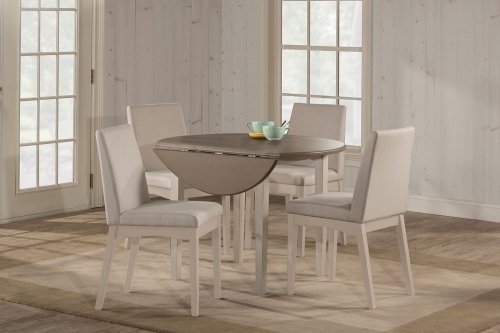 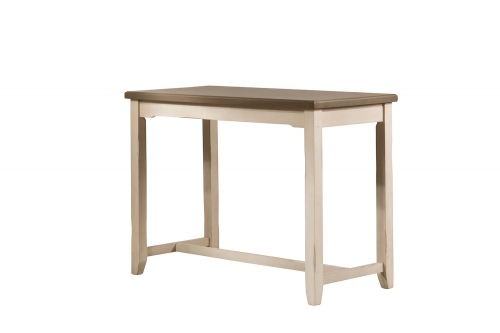 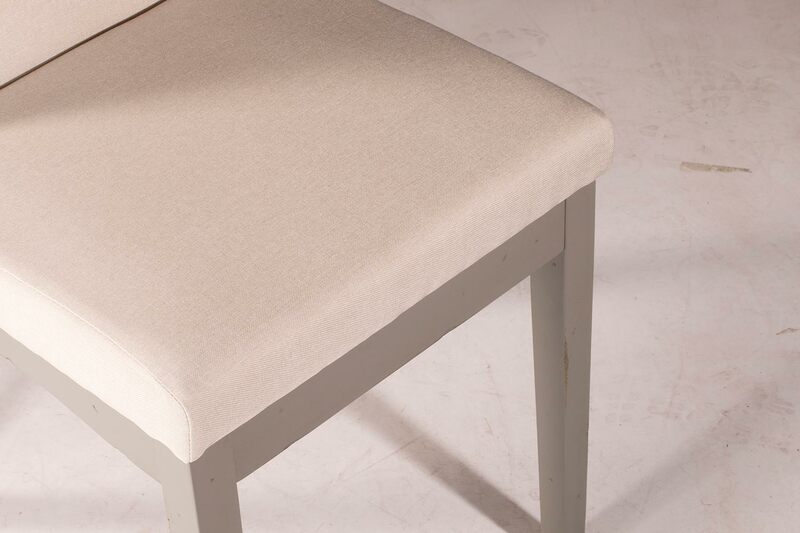 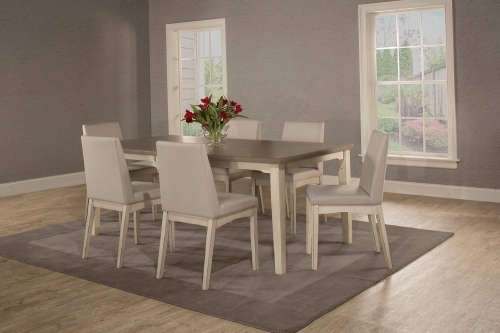 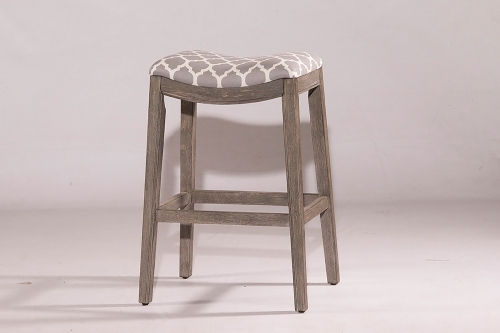 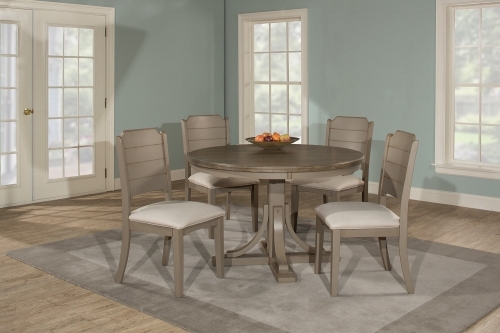 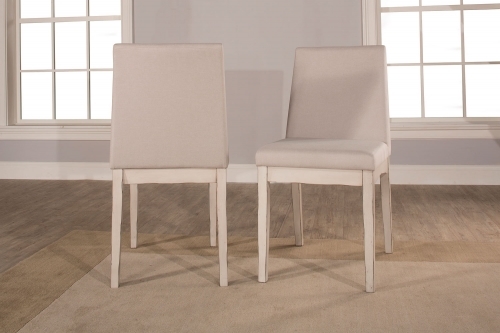 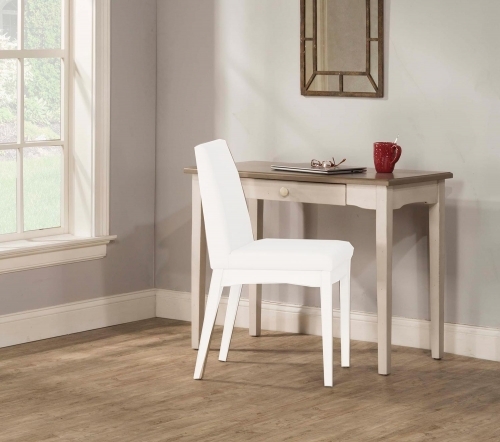 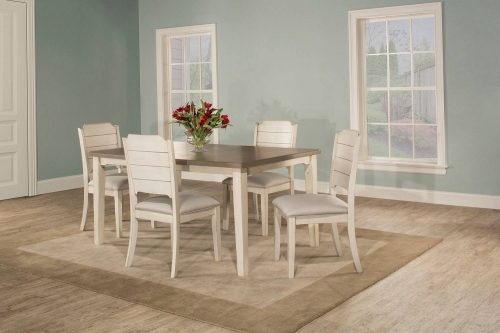 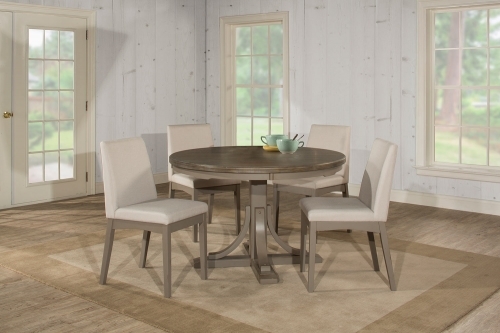 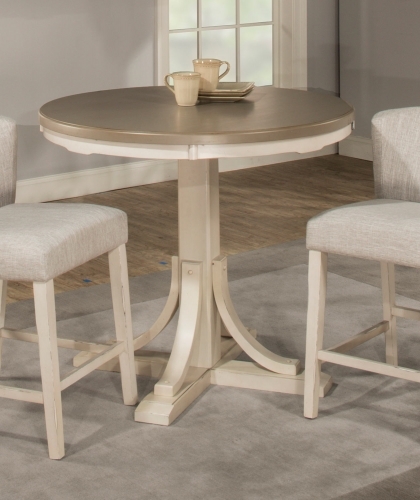 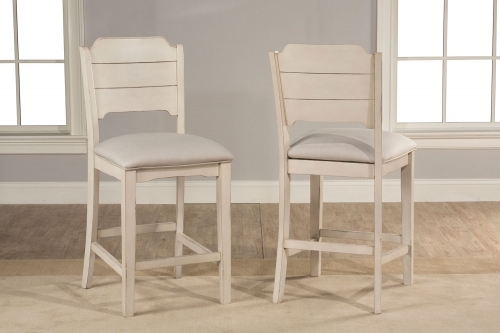 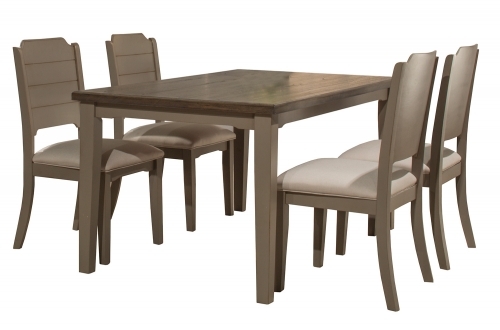 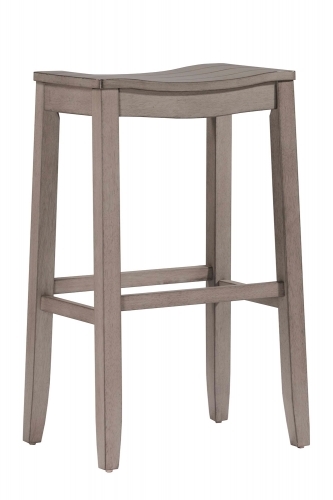 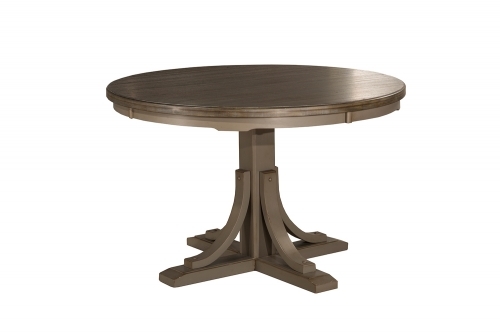 Constructed of wood and painted in a distressed gray with a versatile fog upholstered seat, the Clarion chairs are highlighted by casual elegance, clean lines, and a fresh finish combination. 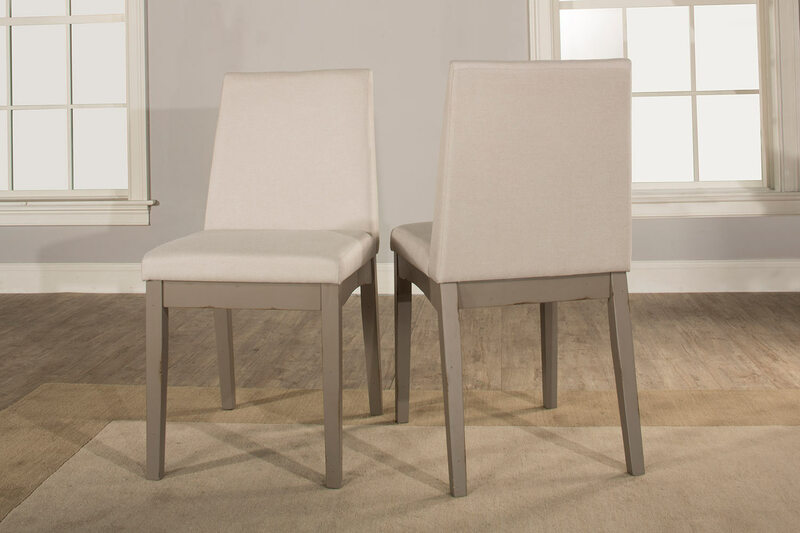 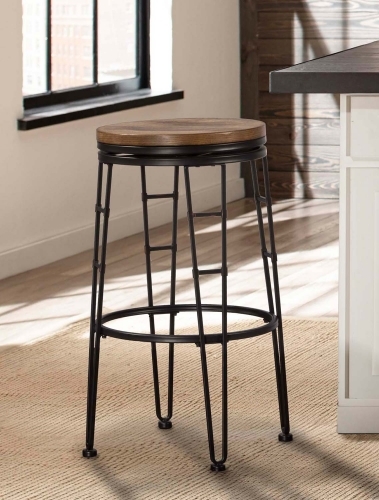 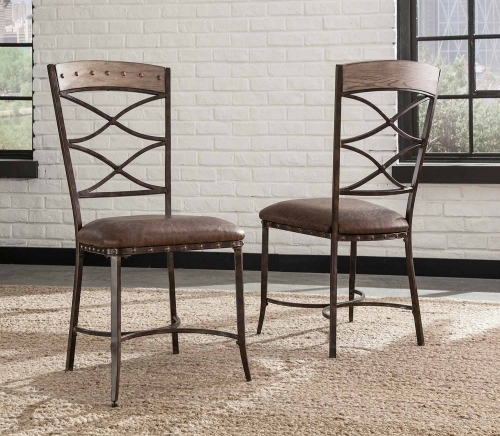 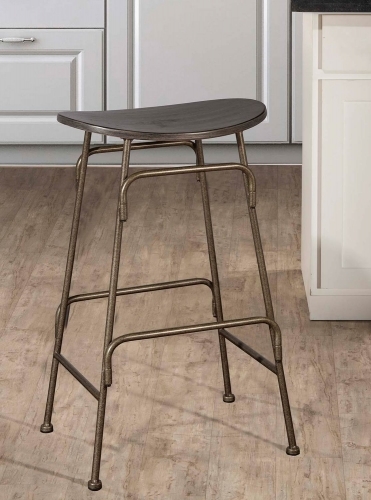 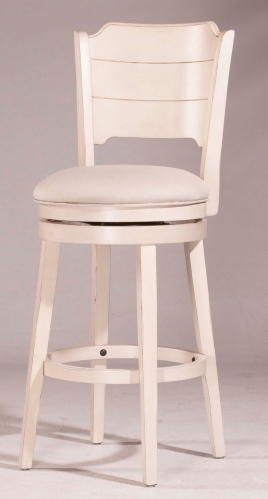 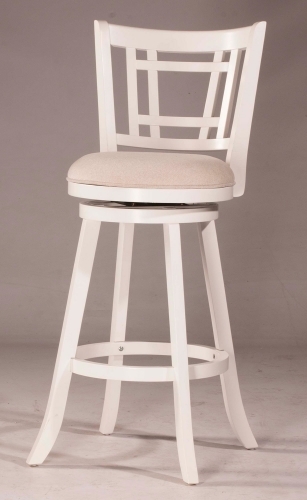 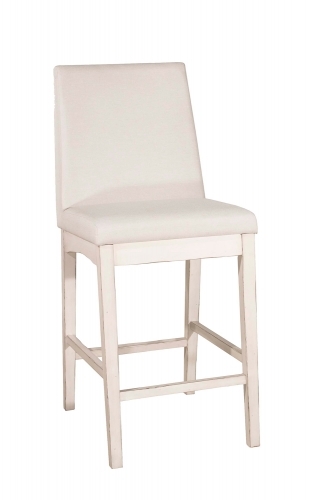 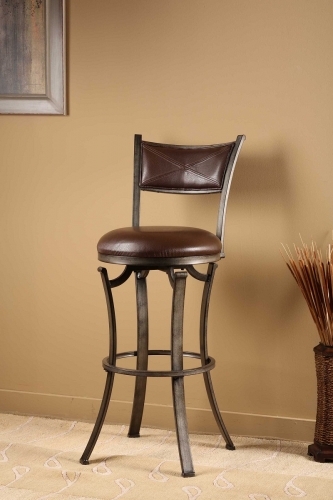 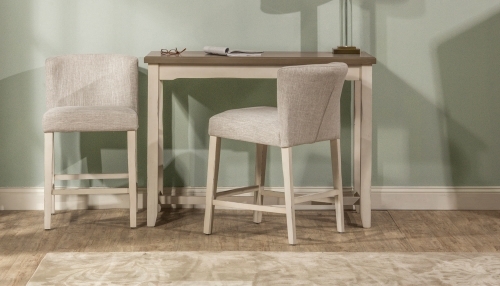 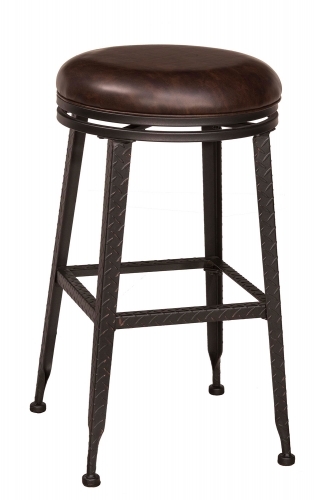 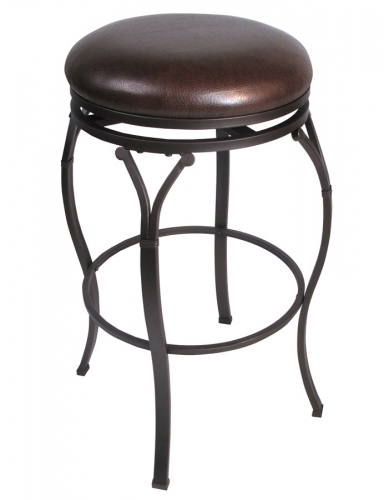 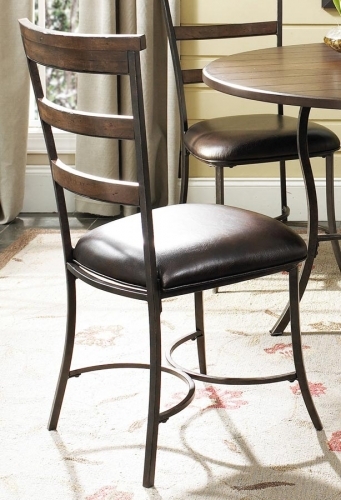 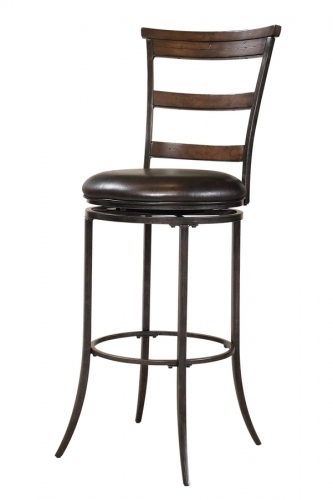 Ideal for an eat in kitchen or dining room, these chairs will compliment the any contemoporary or transitional decor to create a cool, casual and comfortable look. 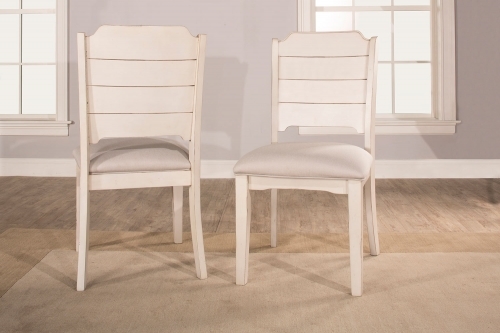 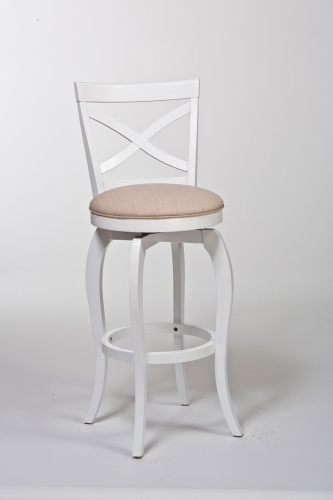 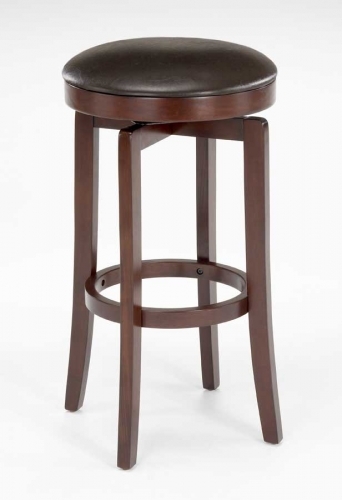 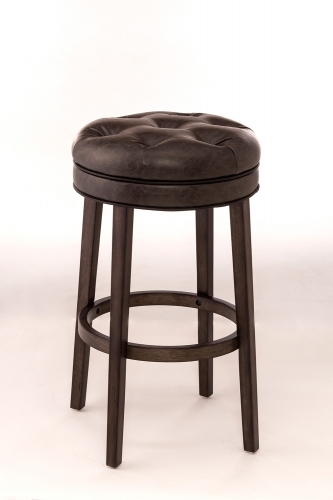 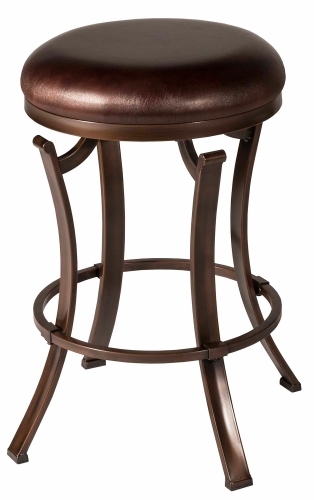 These chairs are composed of hardwood, wood composites, and veneers, and assembly will be required.